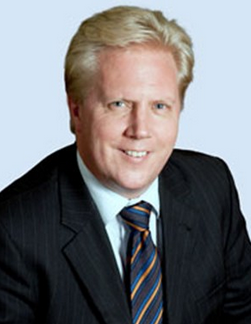 A t our second major event for 2016 we hosted the Hon Todd McClay, Minister of Trade. The event was held at Minter Ellison Rudd Watts reception rooms in Wellington. It attracted 60 attendees, mostly PEN members or supporters. The Minister's speech was the highlight of the evening. We were updated on the Pacer Plus negotiations (nearing conclusion), the trade situations in Fiji, New Caledonia, gave his view on the TPP and the Regional Comprehensive Economic Partnership (RCEP), which is a fall back should TPP not succeed. As exporter's we can take heart that our trade negotiators are continually seeking to progress our interests in trying to secure lower tariffs and make it easier for exporters to access markets. In the Pacific we not only have Pacer Plus being negotiated, but TPP and the possible EU FTA could have an impact on the future of Pacific trade. PEN sees no reason why the export target in the Government's Business Growth Agenda to 2025 should not be achieved given that the Government and its export agencies make the target a priority (from the present 30% to 40% of GDP by 2025). PEN will try and play a lead role in doubling the current level of Pacific exports from $1.5 billion to $3 billion by 2025. There is much still to be done, but listening to the Minister, part of the foundations for a rapid escalation of NZ's exports to the Pacific are being put in place. Original generation time 1.4220 seconds. Cache Loaded in: 0.0287 seconds.